Arrive Delhi pickup & Transfer to Lansdowne, check in to hotel, Evening will be at your leisure. Overnight stay at the hotel. After breakfast sightseeing of Lansdowne, places to visit (Church, Tip-In-Top, St. John’s Church, St. Marry’s Church, Lansdowne Lake (Bhulla Tal), Tarkeshwar Mahadev etc). Overnight stay at the hotel. 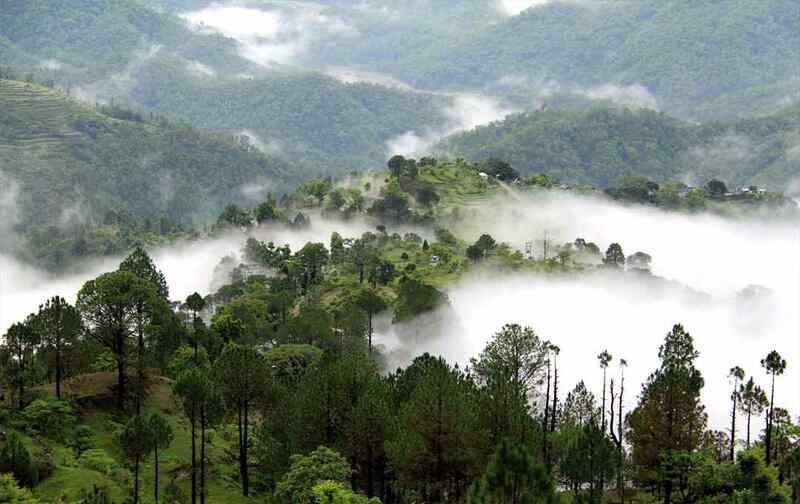 After breakfast check out from the hotel, depart to Pauri, Arrive Pauri, on arrival check in & visit (Kyunkaleshwar Mahadev Temple, Kandolia Devta Temple, Khirsu ). Evening back to hotel. Overnight stay at the hotel. After Breakfast chekc out from the hotel Proceed to Mussoorie, On arrival check in hotel, Evening will be at your leisure, night stay at hotel. After breakfast checkout from hotel and proceed to Rishikesh. On arrival check in hotel, places to visit Laxman Jhula, Ram Jhula and Swarg Ashram. Ganga aarti at Swarg Ashram. Overnight stay at the hotel. Morning After breakfast check out from hotel, depart for Delhi approx. 320 kms / 8hrs. You will be transferred to the airport/ Railway station.